Earl Cyril Palmer was an American rock & roll and rhythm and blues drummer. 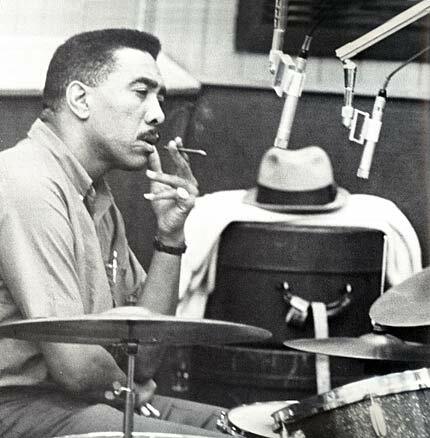 Palmer played on many recording sessions (the musicians union tracked Earl Palmer playing on 450 dates in 1967 alone), including Little Richard's first several albums and Tom Waits' 1978 album Blue Valentine. Palmer was known for playing on New Orleans recording sessions, including Fats Domino's "The Fat Man", "I'm Walkin" (and all the rest of Domino's hits), "Tipitina" by Professor Longhair, "Tutti Frutti" by Little Richard (and most of Richard's hits), "Lawdy Miss Clawdy" by Lloyd Price, and "I Hear You Knockin'" by Smiley Lewis. His playing on "The Fat Man" featured the backbeat that has come to be the most important element in rock and roll. Reportedly, he was the first to use the word "funky", to explain to other musicians that their music should be made more syncopated and danceable.